Four issue series and trade paperback adaptation of the feature film. Andy Mangels wrote the adaptation with art by Mike Witherby and Robb Phipps. 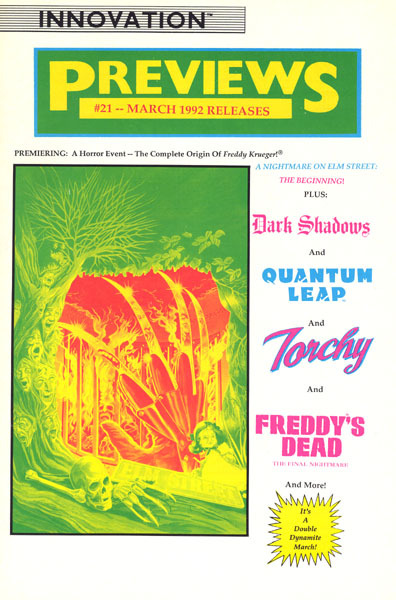 Six issue original series serving as the official lead-in story to Freddy’s Dead: The Final Nightmare. Written by Andy Mangels with art by Tonny Harris, Patrick Rolo, and Ray Kryssing. Read the full series below. 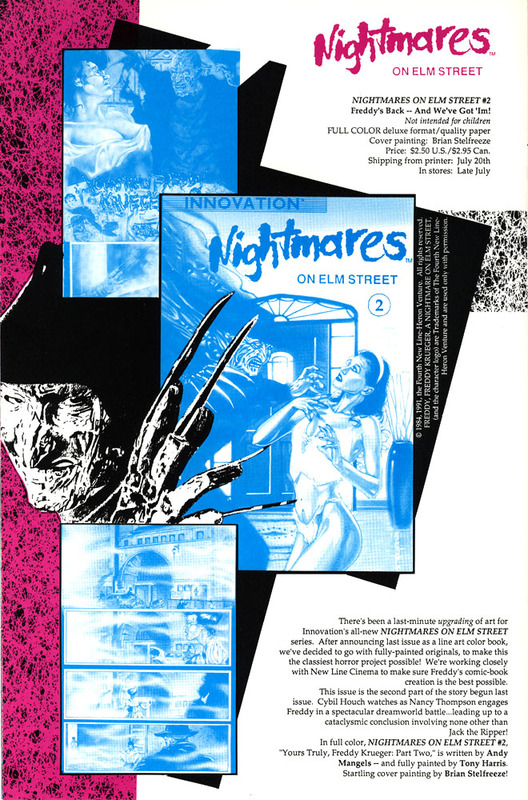 Planned four issue series focusing on Freddy Krueger’s past and serving as a direct sequel to Freddy’s Dead: The Final Nightmare. 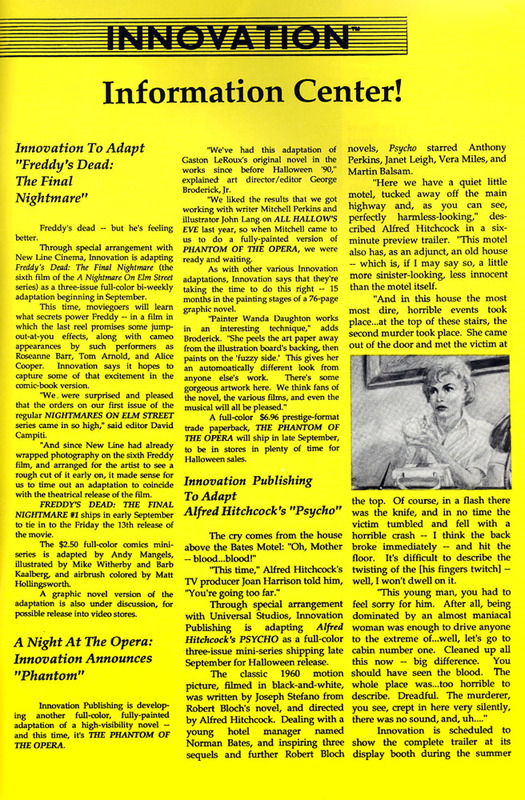 Innovation declared bankruptcy before it could publish the third issue and finish the series. Written by Andy Mangels with art by David Day and Dan Day. A childhood nightmare haunts Dr. Maggie Burroughs. When an amnesic teen from the neighboring town of Springwood arrives at the youth shelter where she works, Maggie feels an urge to investigate the mysterious teen’s troubled past—especially since the teen also suffers from similar nightmares. What do these terrifying nightmares have in common? And why is a newspaper clipping featuring the name Krueger triggering such uneasiness? Maggie Burroughs and the amnesic John Doe travel to Springwood to unlock the mystery behind their shared nightmare, along with three stowaway teenagers from the youth shelter where Maggie works. What they find is a city devoid of children and hope, but full of mysteries and clues relating to long-dead child killer Fred Krueger. Death is waiting for the first to fall asleep! Plus: Is someone in the group Fred Krueger’s long lost child? 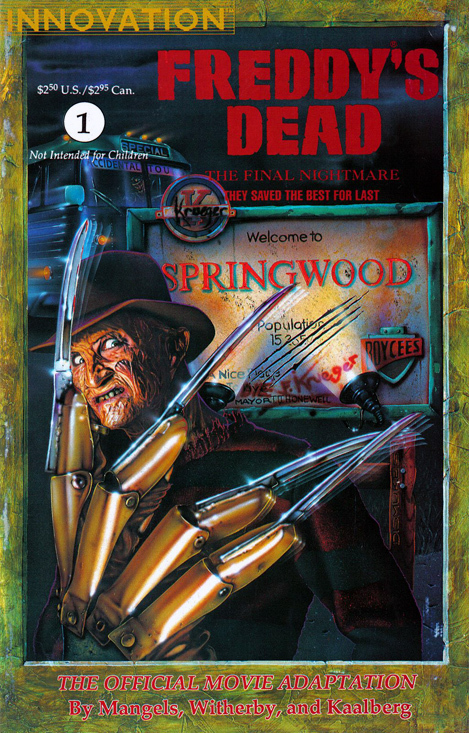 Freddy Krueger has escaped the borders of Springwood to unleash his nightmare upon the world. In a desperate move, Maggie goes into Freddy’s mind to unlock the secrets of his life. What she finds will leave readers stunned! 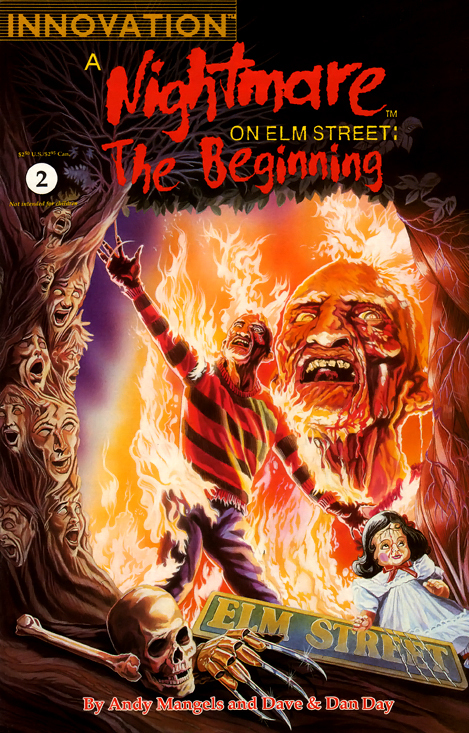 Does the past hold the key to wiping Freddy out of existence… forever? Plus: Will Maggie find the answers she is looking for about her own past? Find out in this exciting concluding chapter! 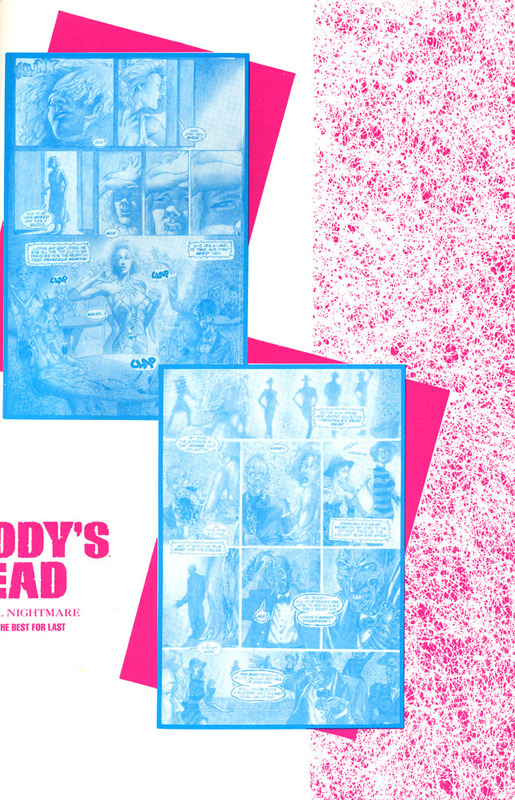 This graphic novel collects the complete, full-color, 76-page adaptation of New Line Cinema’s horror hit! 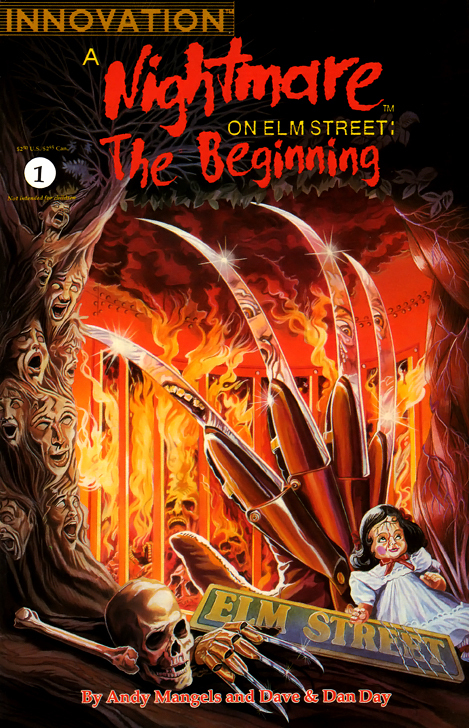 Freddy Krueger is the most recognizable character in contemporary horror and this story reveals more details of the infamous villain’s background and depicts his final destruction. 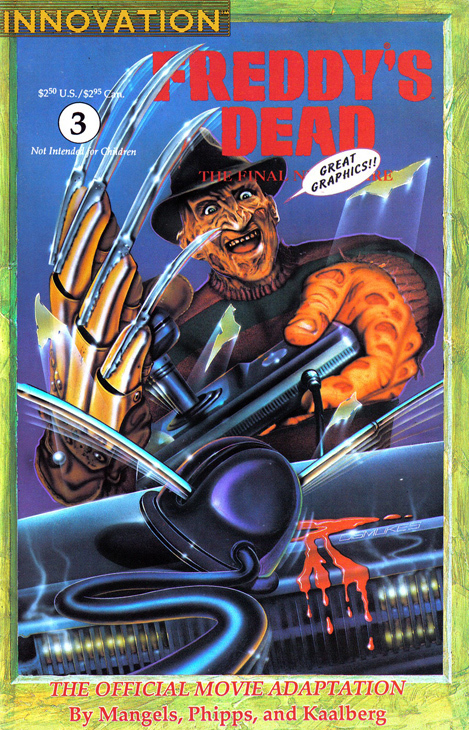 The trade paperback release coincided with Freddy’s Dead’s release to home video and features the original one-sheet artwork. 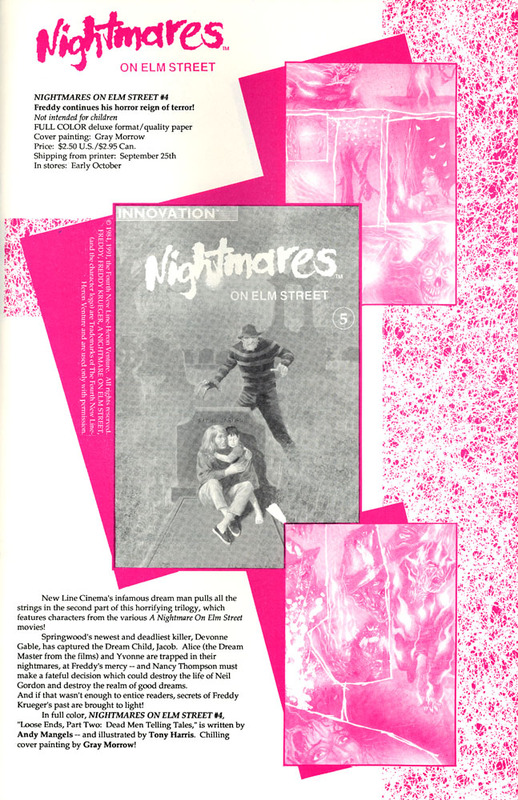 Cybil Houch is having grisly nightmares of a burned man, with a red and green sweater, fedora, and razors on his right hand. 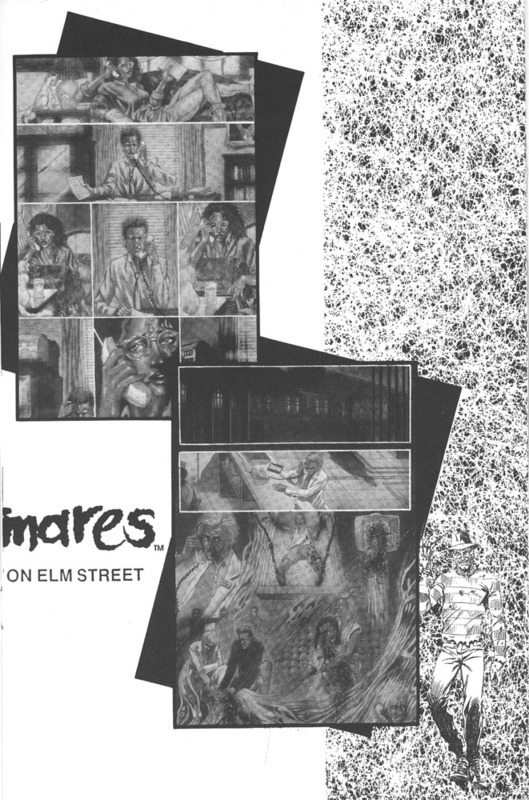 Another feature is also in her nightmares: 1428 Elm Street. 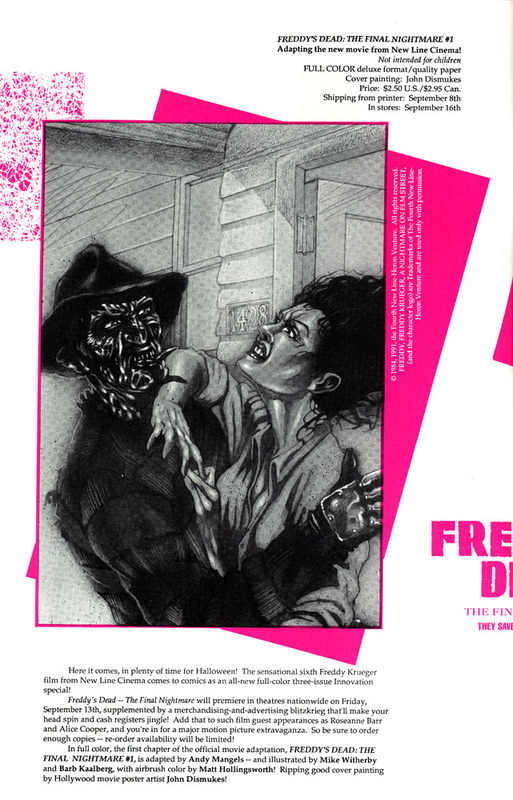 Inspired to reach out to her old college roommate, Nancy Thompson, Cybil gets drawn into Freddy Krueger’s vile scheme to find his old nemesis and destroy “The Beautiful Dream.” This series serves as the official lead-in story to the hit film Freddy’s Dead: The Final Nightmare! 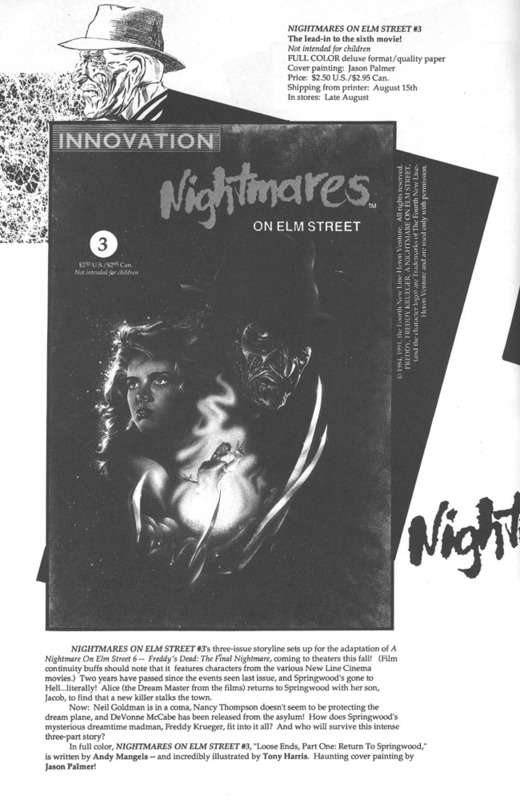 Nancy Thompson is still alive in The Beautiful Dream and has become Freddy Krueger’s equal in the dream world. 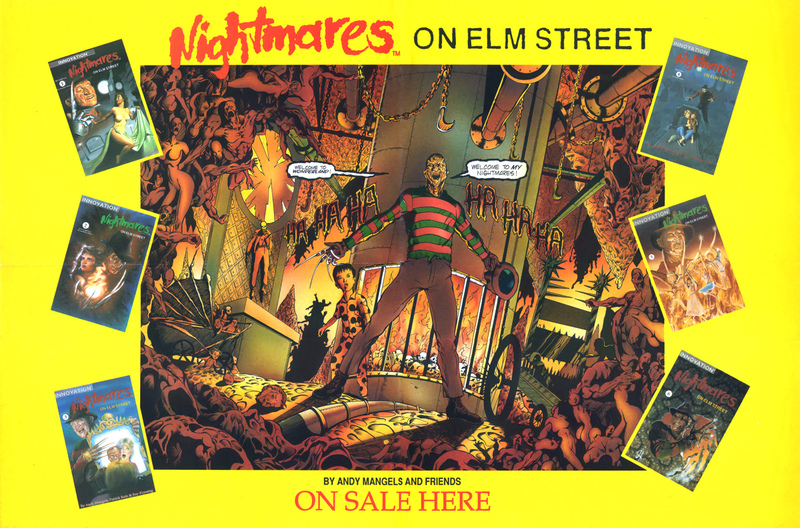 Freddy used Nancy’s old college roommate, Cybil, as bait to find her, and now Nancy must confront him directly. Before she does, however, help arrives in the form of Dr. Neil Gordon. Can this small team of “Dream Warriors” beat the dream-stalker in his own domain? After six years, Alice Johnson returns to Springwood with her son, Jacob. Springwood’s undergone some changes since her last visit: rundown houses are for sale on every block, children are scarce, and, most frighteningly, a new serial killer is on the loose. How is this new serial killer connected to dream-killer Freddy Krueger? And what gift does Jacob have to offer? Jacob Johnson is missing and Alice knows Freddy Krueger is behind it! Alice reunites with her high school friend, Yvonne, to find him before it’s too late. Meanwhile, Freddy begins to reveal his master plan for Jacob and the young boy’s unique psychic abilities. Can Alice find Jacob before Freddy does? Dr. Neil Gordon might know where he is. 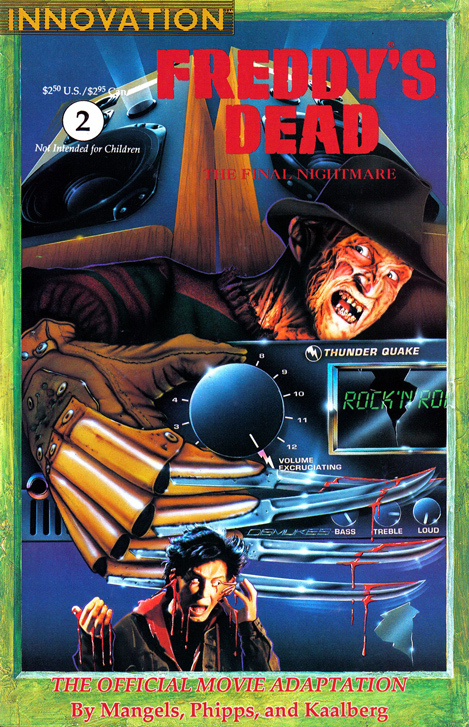 Alice and Dr. Gordon search for her son, Jacob; Springwood’s new serial killer goes on a rampage; Yvonne is put in a dangerous situation; Jacob meets a face from his past; Nancy Thompson returns too late; and Freddy Krueger’s plan finally comes together. Freddy Krueger orchestrated a coming together of his archenemies to make his horrific goal possible. Can this small group of survivors defeat the villain in the heart of his nightmare world before he achieves his objective? Who will live and who will die in this thrilling conclusion to the ultimate battle between good and evil?! 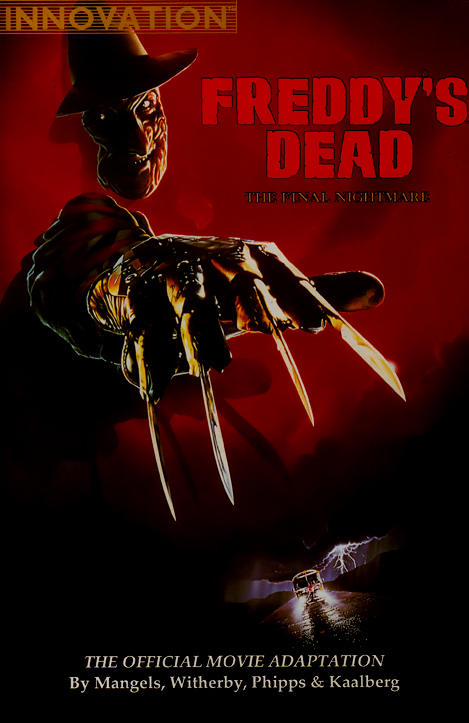 Find out as your favorite characters unite to battle Freddy Krueger one last time. 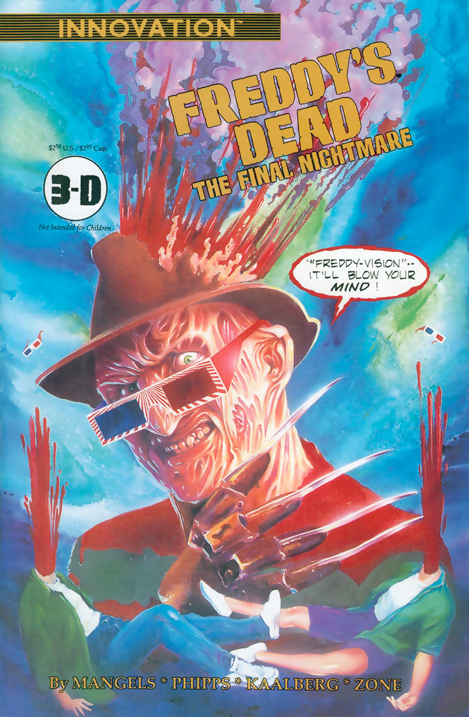 This planned four issue mini-series was to be a continuation of the film Freddy’s Dead: The Final Nightmare. Unfortunately, Innovation closed their offices before issue three could be released. Writer Andy Mangels posted the outlines for the final two issues on his website, along with the original plot outline. Freddy’s dead. At least that’s what Maggie Burroughs thought before she began having eerily familiar nightmares. In an effort to understand the origin of these night terrors, Maggie returns to a renewed Springwood to find some answers. Does Freddy Krueger’s past somehow hold the key to Maggie’s predicament? The past comes alive for Maggie as she experiences flashbacks and other hallucinations about the notorious Springwood Slasher, Freddy Krueger. 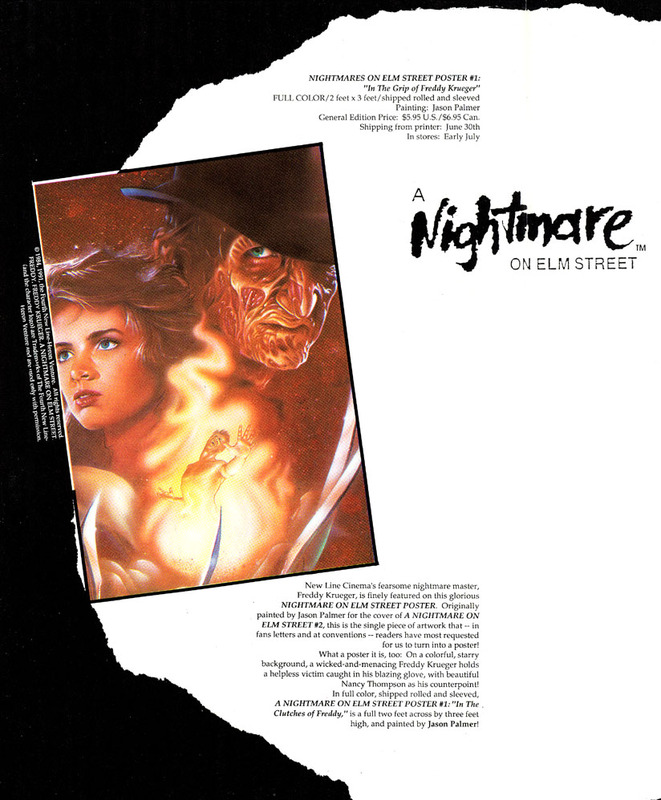 Twenty years ago, the parents of Elm Street hunted down the Springwood Slasher and burned him alive, only to discover he was reborn into a monstrous nightmare later. 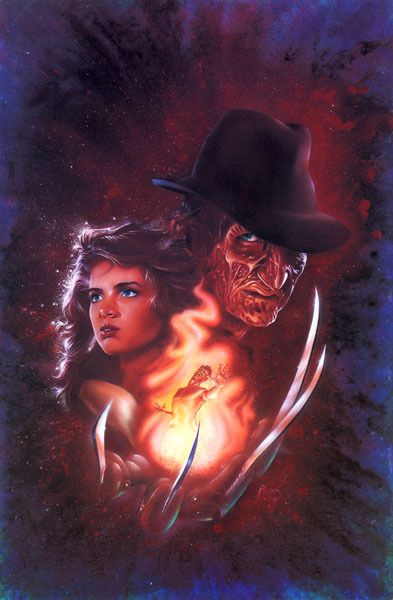 Maggie begins to lose control as she sinks even further into Freddy’s secret past. Andy Mangels posted the following materials on his website. They are mirrored below for archiving purposes.